My partner Bob Nachtman, my brother Phil and I will assist you in your efforts to find a solution to your door needs. Even if the door is not our product! 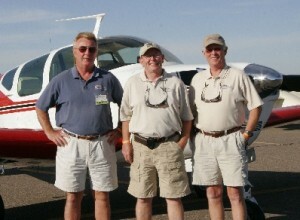 I’ve been in aviation since the mid 70’s and have flown from coast to coast in the US and Canada. We understand how important aircraft care is today and what it is like to handle a plane in and around the hangar. It really adds to your peace of mind to have a plane hangared with the door closed for protection. My professional life has revolved around large doors. I have been involved as a hangar door designer, developing, manufacturing and selling doors since the ’70s. During this time I have realized that there is a need for a non-powered, easily handled, manually operated and economically priced door. We can help you design the door needed to fit your application! Each door is custom designed to fit your building and your lifestyle. Our doors are manufactured by and shipped from FoldTite Systems, Inc., your custom hangar door designer in Mechanicville, NY. We design our doors in upstate New York and provide service out of upstate New York and Chandler, AZ. We provide support throughout your project from initial quotation to the last TEK screw installed. Call us with your requirements for custom hangar stack doors and we will provide you with an economical solution and quotation to fit your needs. © 2019 FoldTite Systems, Inc. – Commercial Hangar Doors – Design and Sales.